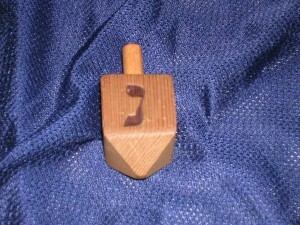 Here it is, Hanukkah time again. 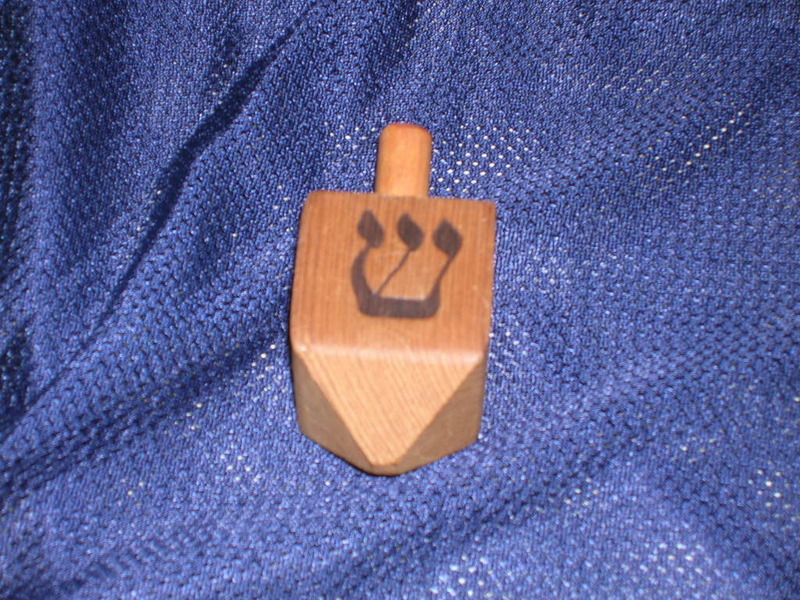 Last year I shared with all of you my collection of menorahs, and sadly, that appears to be the last time Judaism was featured on The Magical Buffet. 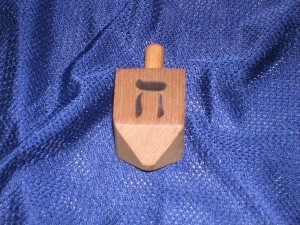 Fortunately this year I have something fun to share with all of you for the 2010 Hanukkah season…..my little dreidel collection! A dreidel is a four sided spinning top that has a different Hebrew character on each side. 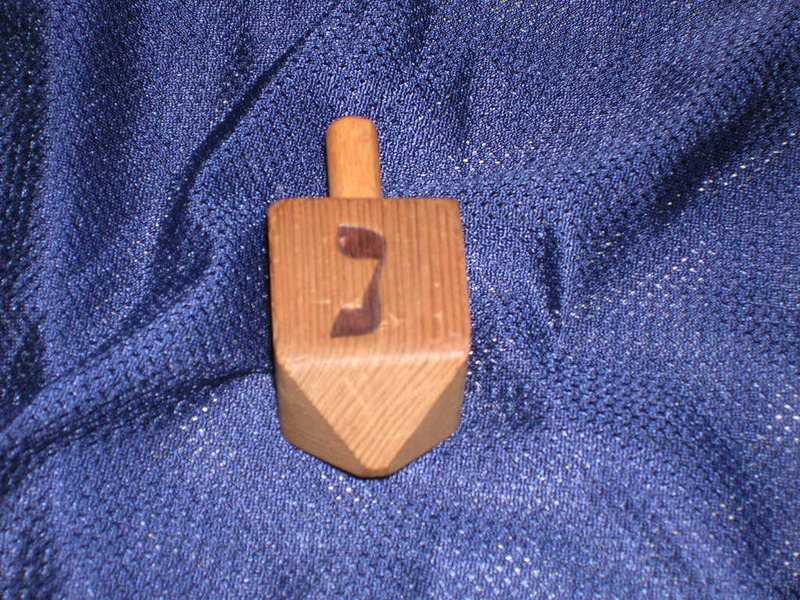 It’s a game traditionally played during Hanukkah. Players start with an equal number of tokens, these can be pennies, candy, whatever. At the beginning of each round every player puts a token in the pot. Any time the pot is empty or only has one token left every one should pitch in another token. 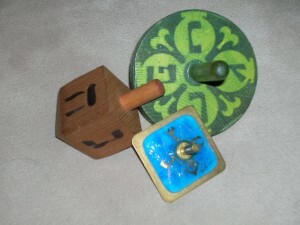 Each player takes a turn spinning the top, the dreidel, and depending on what symbol comes up determines what happens. 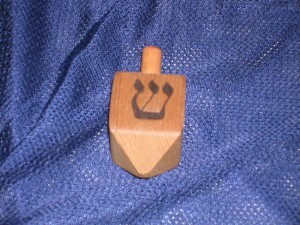 If you get Gimmel; you get everything in the pot. If you get Hey; you get half of the pot. If you get Shin; you add a token to the pot. If you get Nun; nothing happens. The game is over once the pot is empty. 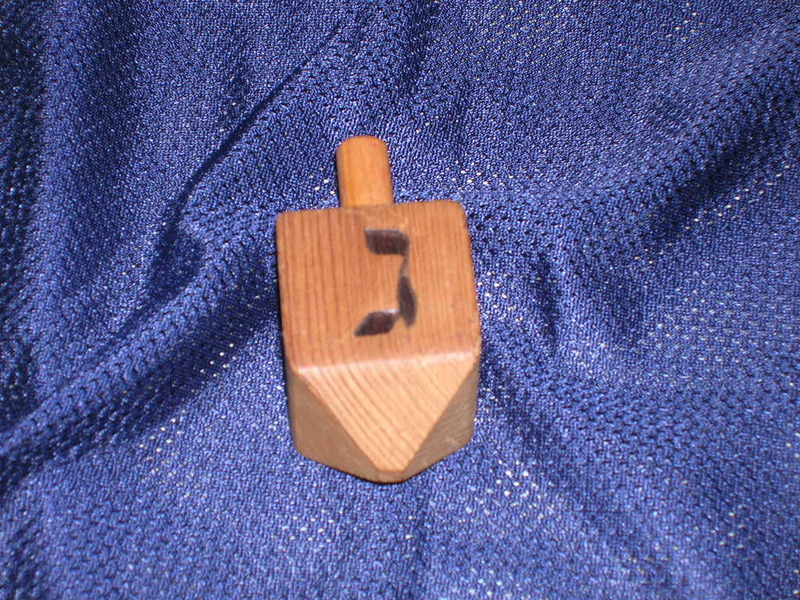 Even as I child, each year my father would have to write down the Hebrew characters and what they meant with regards to the game. Thus it should surprise no one that I had to look up how to play to write this little article. It’s been years, many years, since I’ve played dreidel but I’ve never gotten rid of the dreidels I’ve received as gifts from family. Much like the menorahs I keep, they’re just so beautiful and so varied I’ve kept them all these years.